Set near pristine white-sanded beaches and cooled by the gentle trade winds from the southern Indian Ocean, the Alkimos Beach housing estate, about 40km north of Perth, is a joint development between West Australia’s LandCorp and Lend Lease. With a projected building lifespan of over 20 years, the 710-hectare Alkimos Beach development will eventually house over 15000 people, and contain a total of about 6000 residential dwellings. 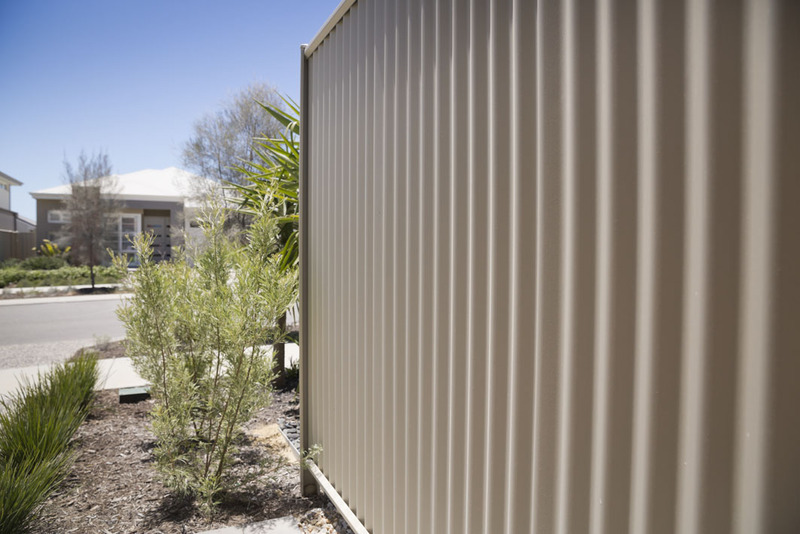 In order to inject some differentiation into their design and to blend in with the unique environment, Lend Lease wanted a special COLORBOND® colour for the LYSAGHT ® steel fencing in this bespoke housing development. So to fulfil their vision, Lend Lease turned to the technical and product expertise of Lysaght to develop a custom colour that was designed to reflect the stunning natural beauty of the West Australian coastline, and the sand-inspired hues of the Alkimos Beach housing estate. p>According to Lysaght State Sales & Marketing Manager – WA, Serhat Pakyuz, this custom colour development was the result of a team effort between Lysaght, BlueScope and Lend Lease. “To develop this colour, the team first used a number of Dulux paint samples – they worked towards colour matching from printed paper samples, then developed wet spray samples in the BlueScope laboratory,” said Pakyuz. “The best way to describe it is white with a very light tinge of tan running through it,” said Pakyuz. Together with this unique colour, Lend Lease tasked Lysaght to roll form a unique profile for the fencing for the new houses in the estate. “We re-launched a heritage fencing profile called CUSTOMSCREEN for the LYSAGHT ® steel fencing at Alkimos Beach, which was roll formed from 0.35mm COLORBOND® steel,” said Pakyuz. Designed to be light and easy to handle and quick to install, it suits both traditional and modern designs, and is designed to specifically complement the LYSAGHT CUSTOM ORB® roofing profile. Along with the CUSTOMSCREEN® steel sheets, “a range of other accessory items for the fence construction needed to be manufactured,” said Pakyuz. “It’s a very unique custom colour and Lend Lease have national exclusivity on its use.” said Pakyuz.